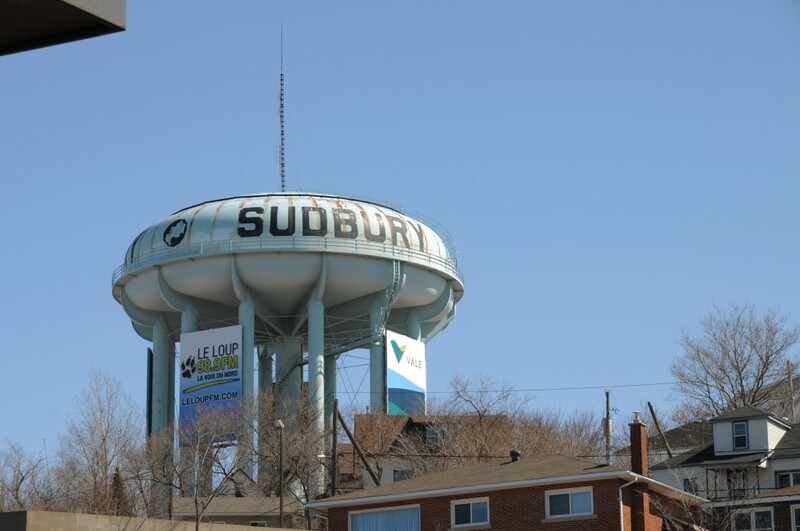 Sudbury Living | Sudbury’s water tower lives! Sudbury Living Magazine June 1, 2011 Sudbury's Stories No Comments on Sudbury’s water tower lives! Citizens who care about heritage buildings cheered when the Pearl St. watertowers were given a second life as an advertising billboard. The water tower is not a heritage building but it can been from many parts of the city, and it is a landmark. Summer 2011The Sudbury Pearl St. Water Tower was designed and built by Horton Steel Works Limited, Fort Erie (Now Niagara Energy) between 1953 and 1956. It had a capacity of 1,000,000 imperial gallons. It was decommissioned in 1998 by the Sudbury City Council several months after the Minnow Lake water reservoir was installed which hold approximately 8,000,000 gallons of water. On Feb. 26, 2010, Media Environmental Group Service approached Westar Investments, which had purchased the tower from the city with the idea of turning converting it to a restaurant and office space, to buy the property. Purchase was contingent on a rezoning application approval. The proposed application gives permission to convert the bandoned water tower into residential dwelling units, commercial office space, banquet facilities and a restaurant. The proposal also calls for the establishment of 12 advertising Artboards to be leased by a variety of advertisers. The billboards will measure 20 feet by 32 feet and will be permitted in conjunction with the commercial space. For more information, visit www.sudburywatertower.com.